Amid the Left opposition's demand for his resignation in the solar scam, Chief Minister Oommen Chandy on Wednesday said he had done no wrong in the case. "If there is even one percent truth in the allegations levelled against me in the scam, I will quit public life of five decades," Chandy told reporters after a weekly cabinet meeting here. "I am able to defend myself as I have done no wrong. My conscience is clear. People understand things, but you (media) are the last to understand things," the chief minister said.Chandy and other politicians have come under attack after solar scam accused Saritha Nair, while deposing before a judicial commission over five days, alleged that bribes were paid to Congress leaders to speed up procedures for her solar panel business. "The Left opposition appears jittery because they know that the people of Kerala will not believe these baseless allegations. Hence, they are engaging in various protests. If they are confident about these allegations, why can't they wait for a few months till assembly elections. They are afraid," Chandy said. "Due to this scam, there was no loss to the state exchequer, no monetary benefit was extended to scamsters and no laxity was there on the government's part in taking legal steps against them," the chief minister said. Hitting out at the opposition Communist Party of India-Marxist, Chandy said a leading magazine carried a cover story in 2014, wherein Nair was quoted as saying that she was offered Rs.10 crore by the CPI-M to speak against the chief minister.He warned that -- as sought by ruling United Democratic Front leaders -- the government will take necessary steps to initiate action against those behind the mudslinging. Is Oommen Chandy on the way out? 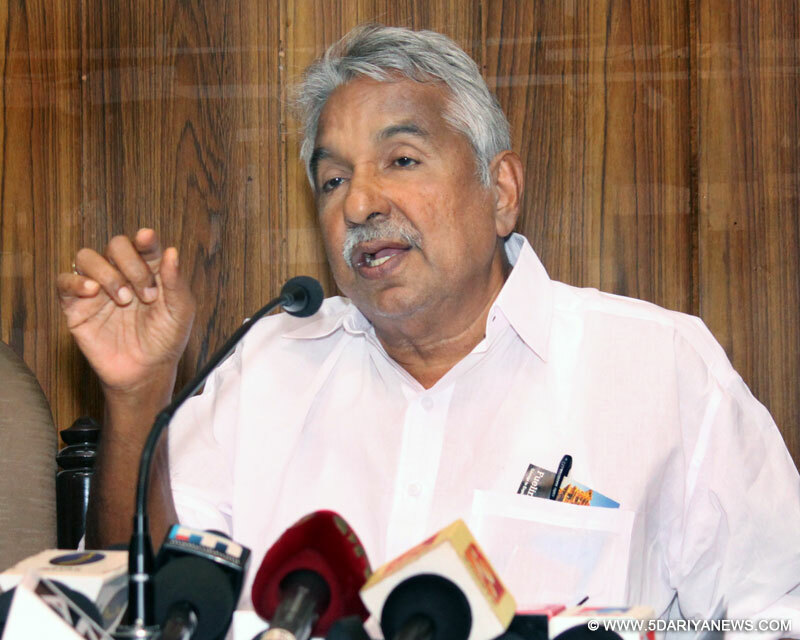 Can Oommen Chandy create history in coming polls?